Since the hopeful days of the Occupy movement, many things have changed in the respiration of the world, and we have entered a cycle of spasm, despair, and chaos. Breathing is a book about the increasingly chaotic rhythm of our respiration, about the sense of suffocation that grows everywhere.“I can't breathe.” These words panted by Eric Garner before dying, strangled by a police officer on the streets of Staten Island, capture perfectly catching the overall sentiment of our time. In Breathing, Franco "Bifo" Berardi comes back to the subject that was the core of his 2011 book, The Uprising: the place of poetry in the relations between language, capital, and possibility. In The Uprising, he focuses on poetry as an anticipation of the trend toward abstraction that led to the present form of financial capitalism. In Breathing, he tries to envision poetry as the excess of the field of signification, as the premonition of a possible harmony inscribed in the present chaos. The Uprising was a genealogical diagnosis. 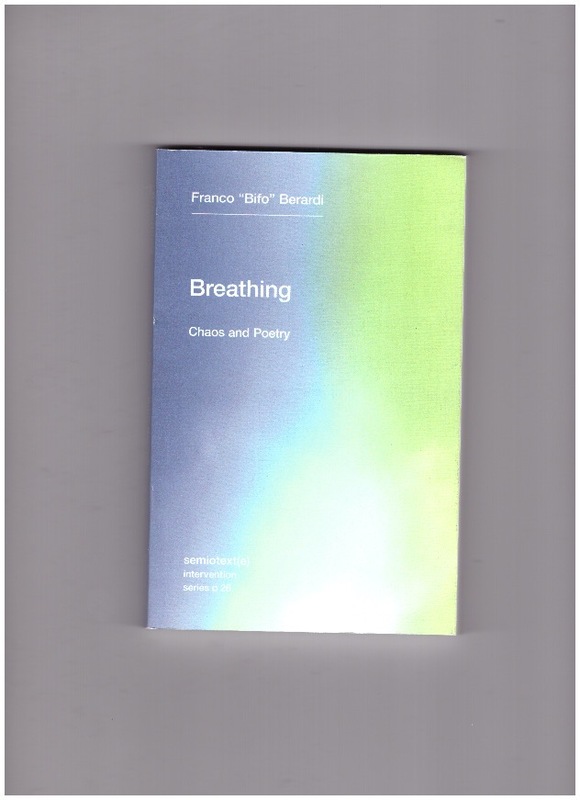 Breathing is an essay on poetical therapy. How we deal with chaos, as we know that those who fight against chaos will be defeated, because chaos feeds upon war? How do we deal with suffocation? Is there a way out from the corpse of financial capitalism?